Once upon a time, mirrors only existed atop bathroom sinks. While in the increasingly self-aware world in which we live, though, those addictive reflective surfaces have made their way out into nearly every other room of the house. They are not longer sticking to their traditional square or oval shape and begin to server as an artful decoration in our home. 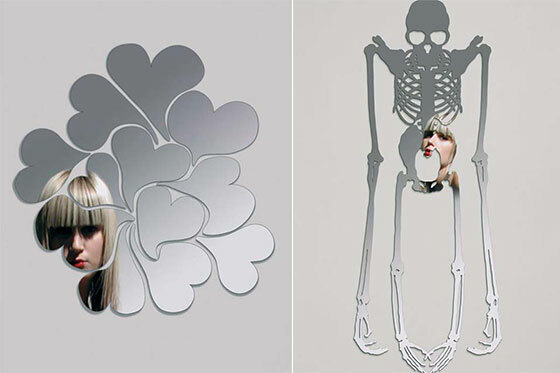 From the sunglasses to fan, here are 10 Cool and Unusual Wall Mirrors we prepared for you. 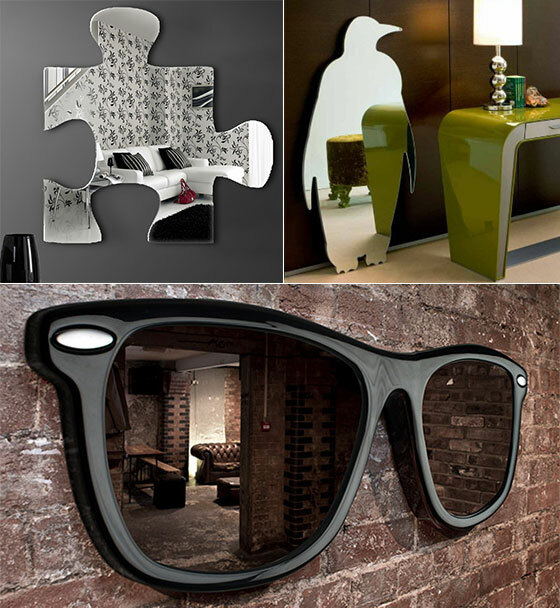 If you want to add some creativity and fun to your interior then take a look at The Looking Good mirror from Thabto. It’s a funky, playful piece inspired by the classic sunglasses design. 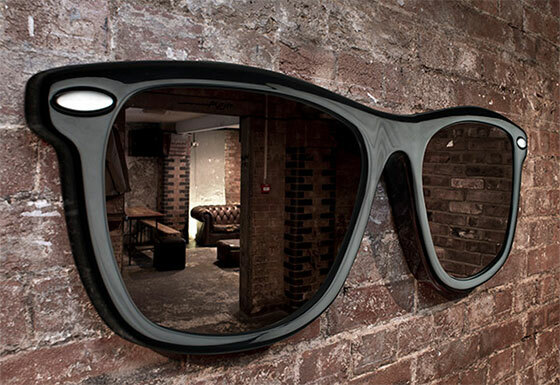 Thabto’s mirror looks like a giant pair of eyeglasses, so you can check out your own beautiful mug while at the same time you adjust your own shades. The dual mirror design actually has another advantage – you and your significant other can primp and preen yourselves side-by-side. And just intime for the gift-giving season. Made in England. 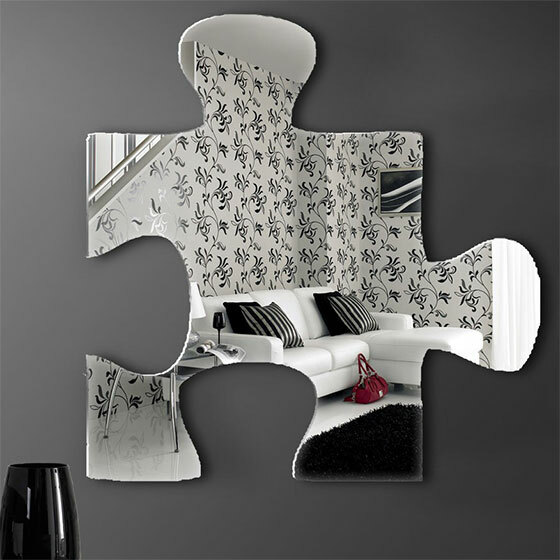 This funky mirror comes in some shapes that you can choose to your own finest. 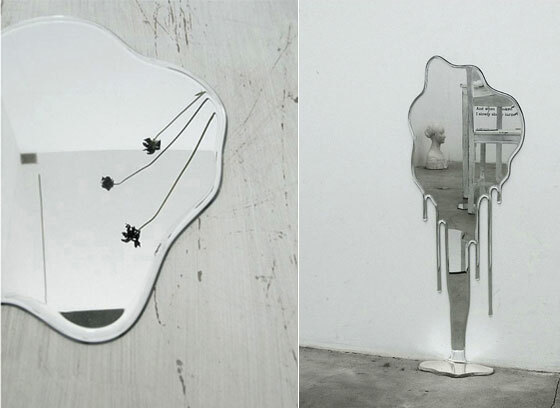 Really functional mirror with a cool decoration. Style in really thin too, this ornament can simply stick to your wall and bring new focal point to your space style. 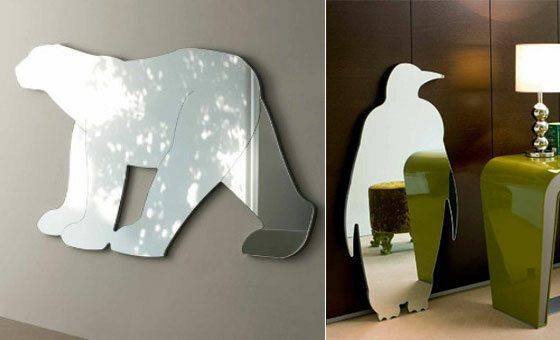 The cool wall mirrors designed by popular Italian company, they offer us amazing mirrors design inspired by animal shaped. The animals are penguin and bear. These mirrors boast a whimsical, winter nuances with featuring these animals shaped silhouettes. Porada Sensu Mirror. 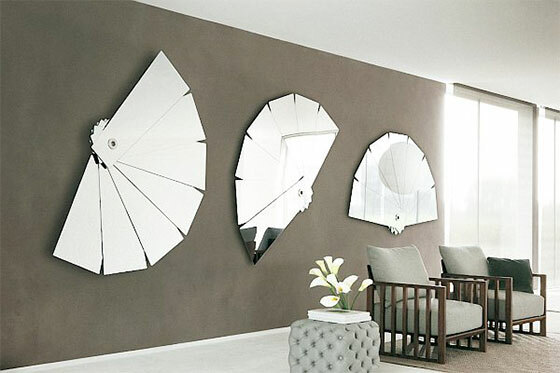 Fan shaped wall mirror with 7 panels (fixed together), which turns 360 degrees due to the wall fixing. designed by T Colzani. In clear mirror and brushed steel. Get creative with your mirrors! These acrylic mirrors are perfect for any dorm room or kids/teenage bedroom! Pair a few of these together for a puzzling look! Ever dreamed about becoming a cover model for the famous magazines you admire? With this mirror, you can “become” the cover model any way you like by just looking into it. 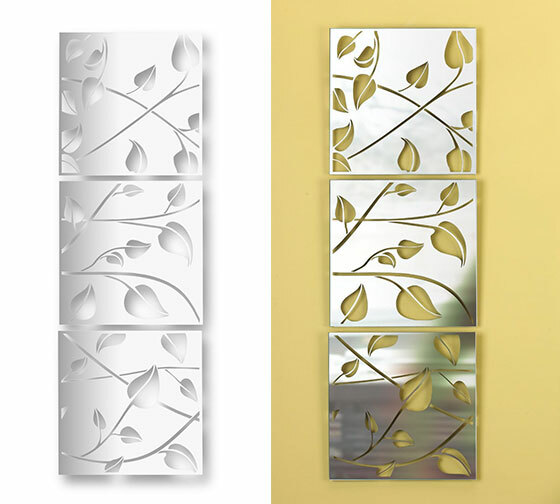 Folla decorative, mirrored wall tiles from Umbra feature a graceful, leafy branch motif that brings an element of nature into any room. Constructed of glass with a silk-screened mirror finish, this set of three tiles can be hung in a group or individually, vertically or horizontally – your imagination is the limit. Each tile measures 9-inch square. 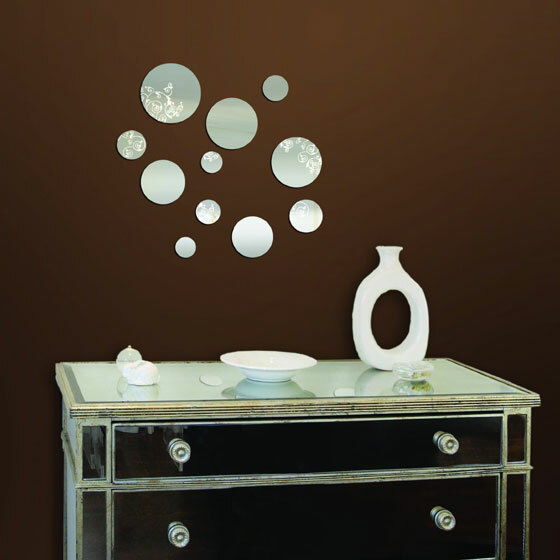 A more stylish rendition of our best selling acrylic wall sticker design, Patterned Dots add a splash of fun to your walls. Can be separated and individually applied to create your own look. Simply lift off and reposition to create a new configuration. Will not damage surface. 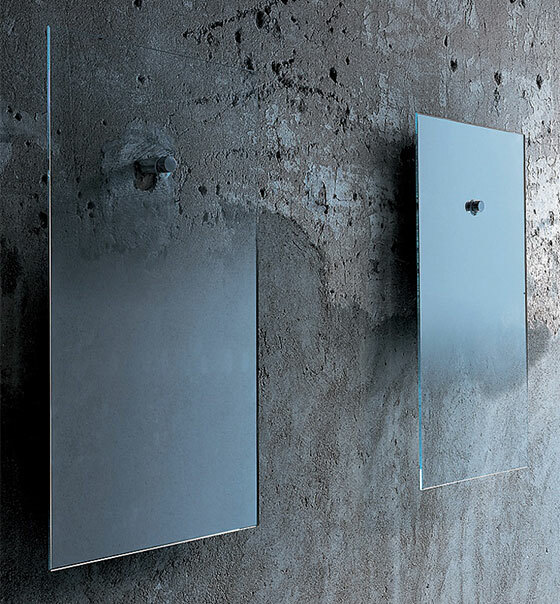 This series of “fiction” mirrors designed by Jean-Marie Massaud for Glas Italia are made in extralight glass with degrading shaded silvering. They hang on the wall with a chromium-plated metal cylinder. The small mirror can have a degrading shade upwards or downwards.